This is an article on the Sunday Million Results from June 22, 2008. If you are looking for the most recent Sunday Million Results from the current week, visit the PokerStarsBlog where they recap the Sunday Million tournament each week. Over 6,000 players competed in the famous PokerStars Sunday Million tournament this past Sunday to battle for their share of the $1,000,000+ prize pool. This online poker tournament is not for lightweights as the average times of these tournaments last upwards of twelve hours. The competition was fierce on Sunday as players were hoping to earn some big cash and join other PokerStars pros at the Rio for the WSOP. At the end of the day it was online poker player, “tEh_R3aLde4L“, taking first place. As the battle continued, there was a considerable amount of chatting going on at this final table with tEh_R3aLde4L backing up his aggressive play with chatter. This was a heated final table as all the players were playing aggressively as players raised, re-raised, and went all in quite a bit during the final. At one point, tEh_R3aLde4L was down to around 2 million chips with $250K/$500K blinds and a $50K ante. tEh_R3aLde4L eventually won some of the chips back with some aggressive all ins against jlost88. The final 3 players were Bolikk, jlost88, and tEh_R3aLde4L. As jlost88 was eliminated, the final hand came down to Bolikk and tEh_R3aLde4L, with tEh_R3aLde4L leading the chip count. The flop came and Bolikk had a gutshot straight draw along with his Ace leading at the time. The turn was a King and tEh_R3aLde4L had a pair of Kings. Bolikk needed an Ace or 7 on the river but as the river card was turned over, Bolikk had only a pair of 6′s to tEh_R3aLde4L’s pair of Kings. 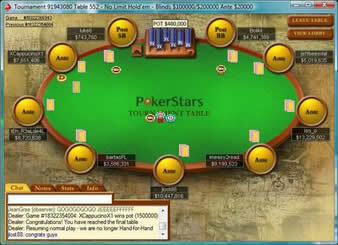 tEh_R3aLde4L won the PokerStars Sunday Million earning $121,688.14 for first place. Bolikk still ended up taking home $112,000 for the second place finish. tEh_R3aLde4L is Wesley Whybrew, a 20 year old male from East Lansing, Michigan. His previous online wins include two 1st place finishes at the $109 buy-in, $109 NLHE on PokerStars. If you are interested in becoming friends with Wesley, he has a Facebook profile at Wesley Whybrew. If you are interested in playing at the Sunday Million tournament, visit our PokerStars Marketing Code page, download an account, and sign up for the Sunday Million every Sunday right around 4:30pm EST. 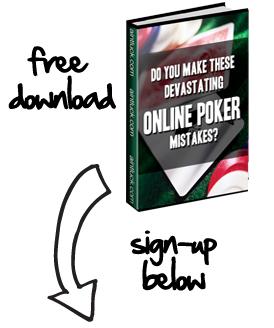 The buy-in is only $215 and PokerStars has a number of weekly qualifiers.